1. Trump on tour: The G7 summit ended in chaos. Will talks between President Donald Trump and Kim Jong Un be more productive? Trump refused to endorse a joint communique with America's closest allies as the G7 summit in Quebec exposed deep divisions over trade. Trump continued to tweet complaints about G7 allies overnight. Market reaction has so far been muted. European markets opened higher on Monday, following a mixed trading session in Asia. 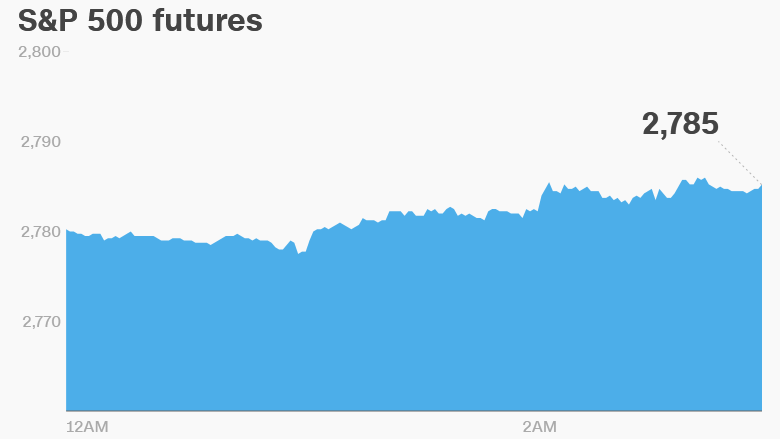 US stock futures were pointing higher. Investor attention will now shift to Singapore, where Trump is preparing for a high-stakes meeting with with the North Korean leader on Tuesday. 2. Rolls-Royce engine problems: Rolls-Royce (RYCEF) opened almost 2% lower after the company revealed that its Trent 1000 jet engines are facing more "durability issues." Rolls-Royce first reported problems with the line of engines in 2016. On Monday, it said it has agreed with Boeing (BA) and regulators to carry out a one-off inspection of its Trent 1000 Package B fleet. The engines are used in Boeing 787 aircraft. 3. Net neutrality ends: The repeal of Obama-era net neutrality protections is officially set to take effect, despite ongoing efforts from members of Congress, state officials, tech companies and advocacy groups to save the rules. The Republican-led Federal Communications Commission voted along party lines in December to repeal the rules, which were intended to prevent internet providers from blocking, speeding up, or slowing down access to specific online services. 4. Friday market recap: The Dow Jones industrial average and the S&P 500 both closed 0.3% higher on Friday. The Dow notched its best weekly performance since March. The Nasdaq inched 0.1% higher on Friday and is now up nearly 11% on the year. 5. Earnings and economics: Dave & Busters (PLAY) will release earnings after the close. UK manufacturing, construction and industrial production data published Monday came in below expectations.